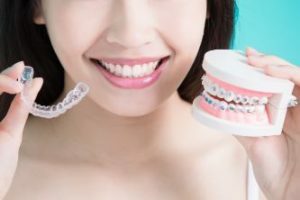 How Long Does Invisalign Therapy Take? Patients interested in Invisalign therapy usually want to know how long they must wear the product in order to see results. A complete course of treatment typically takes between 12-18 months. However, the exact answer to the question depends on factors such as the degree of misalignment and how long per day the aligner is worn. The best results are obtained when the patient wears the product consistently and follows all of their dentist’s recommendations. 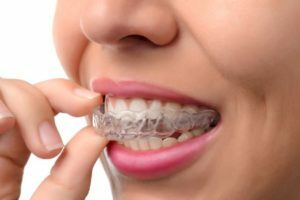 Comments Off on How Long Does Invisalign Therapy Take? A Dazzling Smile in the New Year with Help from Your Cosmetic Dentist! If you’re like most people, you can’t help but feel excited about the possibilities that the new year holds. It’s an opportunity to make improvements in several areas, one of them being the aesthetics of your smile. No matter what type of blemish you’re dealing with, learn how your cosmetic dentist can revamp your image! Comments Off on A Dazzling Smile in the New Year with Help from Your Cosmetic Dentist! Nearly 85% of adult Americans suffer from some form of periodontal (gum) disease. One of the best ways to reverse this alarming trend is through better education. This starts with getting an understanding of what contributes to the condition as well as learning how to recognize the warning signs. When it comes to periodontal disease, there are 3 important questions that must be answered. Read on to find out what they are, and get the answers you need. The crown of your tooth is the portion that is visible above the gumline. Covered by a hard, protective surface called the enamel, it has the awesome task of protecting the inner area of the tooth from the harsh environment in the mouth. What can be done when dental crowns are damaged or lost, then? Read on to learn about the remedy! Want 5 Good Reasons To Use Invisalign To Straighten Your Teeth? Modern life is full of more choices than ever before. When it comes to straightening crooked teeth, people only had 1 choice for many decades: braces. Then Invisalign came along about 20 years ago, which has been a complete game-changer! Today, anyone who wants to achieve a beautiful, straight smile has 2 options, but one of the first questions people have is: Will Invisalign work for me? 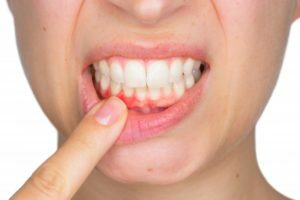 While scheduling a consultation is the only way to know for sure, you’ll be glad to hear that Invisalign does work for a wide variety of issues such as overbites, underbites, gaps and crowding. To find out more about this fantastic alternative to braces, keep reading for the top 5 reasons to choose Invisalign! Comments Off on Want 5 Good Reasons To Use Invisalign To Straighten Your Teeth? Your Cosmetic Dentist Explains the Benefits of Porcelain Veneers! You have a major meeting coming up, and you want to make the best impression. Will your smile flaws make a difference? Studies show they could, as at least a third of the new people you encounter will notice the condition of your teeth before anything else. 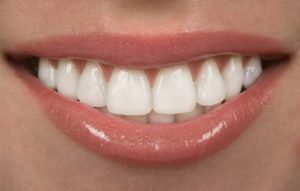 To address your imperfections, your cosmetic dentist recommends porcelain veneers. As you continue reading, you’ll learn why this is the procedure you’ve been looking for! Comments Off on Your Cosmetic Dentist Explains the Benefits of Porcelain Veneers!